Honest Answers To Your Questions! Which attorney to hire is an important question about an important choice. A choice so important, in fact, that a favorable outcome in your case could very well depend upon it. Some law firms handle Workers’ Compensation matters as a ‘side job’ of sorts; to pay the light bills and hope that it leads to some other, more valuable case. Retaining a law firm that dabbles in five or ten different areas of law to handle a Workers’ Compensation claim seems sort of like hiring a knee, shoulder and hip specialist to operate on your brain. Some law firms use television ads and big billboards to clamor for the attention of the injured masses, hoping to land new Workers’ Compensation clients. At the end of the day, however, judges, defense lawyers, and insurance companies really don’t care whether or not your attorney is on TV. They’re interested in knowing if he’s actually good at what he does. We Handle Your Injury Claim, So You Can Get Back To Life. Believe it or not, there are Workers’ Compensation claimants out there who know basically nothing about the lawyer they’ve hired to represent them in their case. They just saw some ad somewhere, and then signed on the dotted line. When they call for information about their case, their “lawyer” may be “out,” and they’re shuffled over to some assistant who may or may not know anything of value about either the law or the claim. 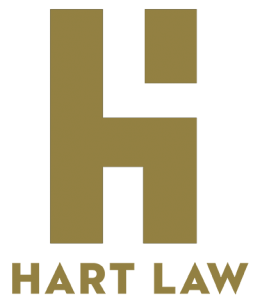 At Hart Law, we want to know our clients, and we want them to know us. When our clients call the firm, we know who they are, and we know about their case. We believe that our clients deserve a very high level combination of legal skill and customer service; and we deliver that, every single day. Insurance adjusters respect our work, and when we appear in court on your behalf, the folks there already know that we are experienced, successful, and highly skilled. We Look Out For Your Injury Claim, So You Can Get Back To What Matters Most. You may only have one shot at picking the right Workers’ Compensation attorney. Before selecting one, it’s important to know what (and who) you’re actually getting. At Hart Law, what you see is exactly what you get. Workers’ Compensation Law is what we do. At Hart Law, our practice revolves around helping injured workers get the benefits they deserve. Think of us as your big brother, your teacher, your recovery coach and your negotiator. Our law practice is simple: Hart Law fights for the rights of injured workers. Period. Our primary job is to protect your interests in the claims process – fully and daily – and we think about this hourly. Insurance companies care about the bottom line: Cash. But Workers’ Compensation claimants aren’t cash and numbers, they’re people. At no fault of your own, the cards may already be stacked against you. But at Hart Law, we use our years of experience to level the playing field. Considering that most people know very little about the Workers’ Compensation claims process, it’s only natural to feel overwhelmed and intimidated by the whole thing. At Hart Law, we believe it’s our calling and duty to not only help you through the claims process, but also help you better understand how Workers’ Compensation Law works. And we tell it like it is, good and bad, so that the good can encourage you and the bad can be better understood – and then hopefully conquered. This takes time and patience, but it’s well worth it. After all, this is your life we’re talking about. And you deserve to know what you’re up against, as well as the plan of action to reach a fair resolution of your claim. If you’re injured at work, the law unfortunately allows the insurance company and its claims adjuster to direct your initial medical care. So, you often end up going to a doctor of their choosing, one they think will be sympathetic to the insurance company. They typically use some of the same doctors, who give them the results they want (i.e., injured employee gets discharged and sent back to work). At Hart Law, our goal is to develop the medical portion of the claim by using the law to get our clients competent treatment from fair physicians who genuinely care about their health. Honestly, do think insurance companies really care about what happens with your health, your career, or your family in the years that follow your injury? Sounds like a harsh question, but it needs to be asked. No matter how you answer, having the strength and experience of Hart Law on your side immediately puts insurance carriers on the defense. With 25 years of experience in the field, we have an eye for managing claims and helping you get a favorable recovery at the conclusion of the claims process. We’re hard at work, just like you. 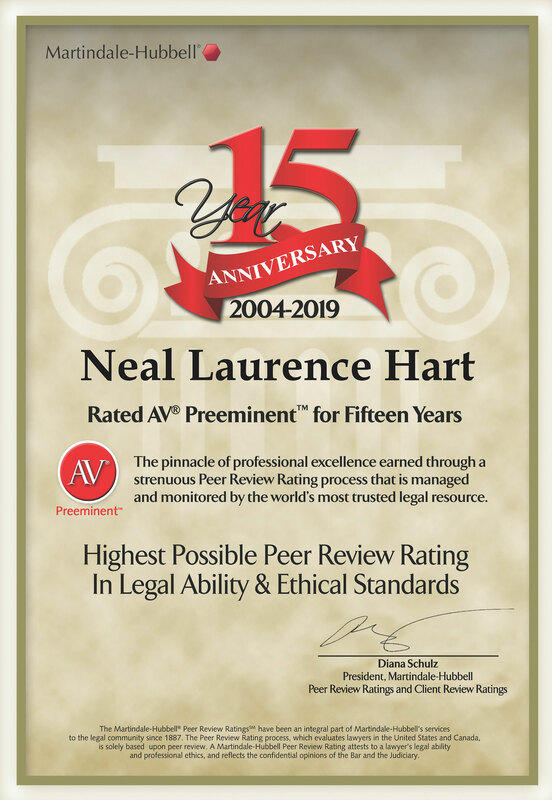 Rated AV® Preeminent™ for 15 years. 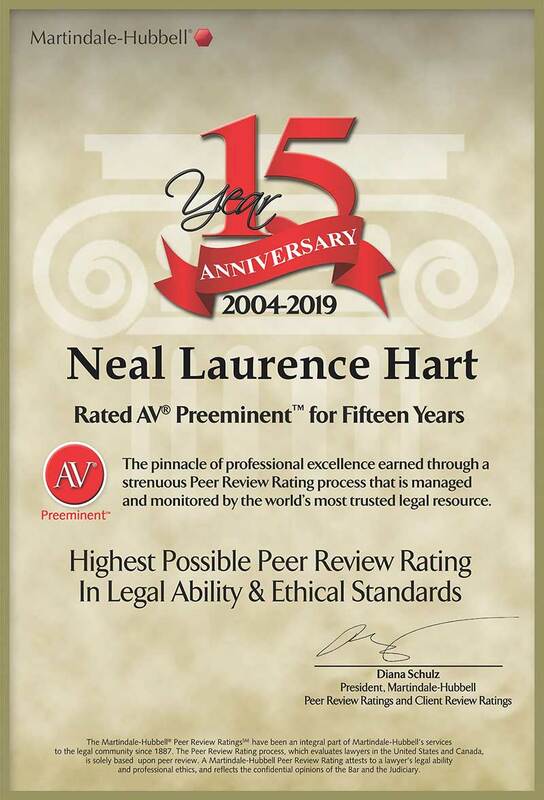 Neal Hart, for fifteen years, has been honored with the highest possible Peer Review Rating in Legal Ability & Ethical Standards. Communicating With Clients In Workers’ Compensation Claims.